Do your grandparents moan on about what life was like in the war? Want to know if they’re telling the terrible truth? 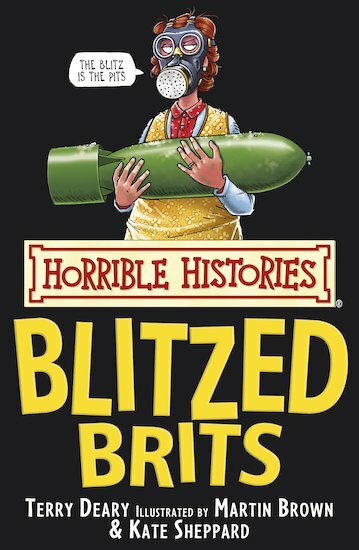 Read on to explore the horrible hardships the Blitzed Brits suffered while bombs dropped out of the sky! Find out what really happened in Dad’s Army! See how to make a rude noise with a gas mask! Learn why the Brits ate chicken-fruit, sinkers and nutty! Faint at the thought of spending seven years without TV! This actually made history interesting and funny. This made me want to learn more about the blitz. I liked this book as it helped me understand my history on the World War 2 and contained gruesome bits that other people in my class didn’t know. 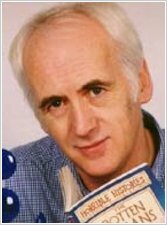 I found that out after carrying out the quiz found in the book out on my class mates.